I love the way it looks on the fireplace...The little sprigs of real boxwood I stole from our neighbor in my four little vases is just perfect. 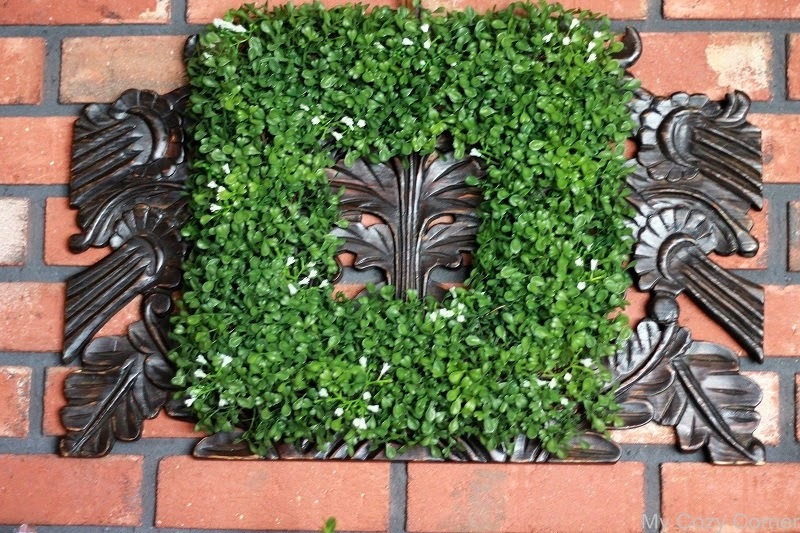 I like the square boxwood wreath you found, and it looks great where you have it hanging. It almost appears to be a mask in the centre. A lovely arrangement of nature's gifts for us to enjoy in the peace and serenity of our homes. 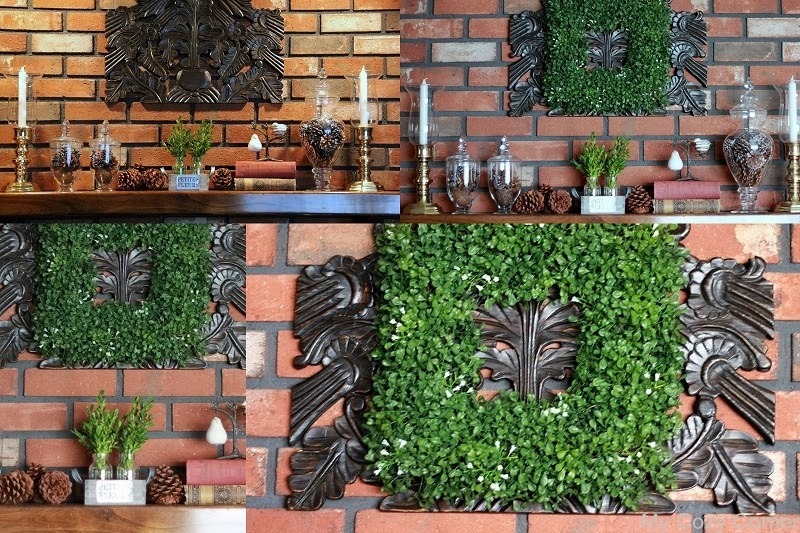 Your found treasure of green looks very refreshing against the red brick. A great find and it looks wonderful on above the mantle. I love the pretty wreath and I like the splash of green on the mantle. Very pretty. Have a happy week ahead! 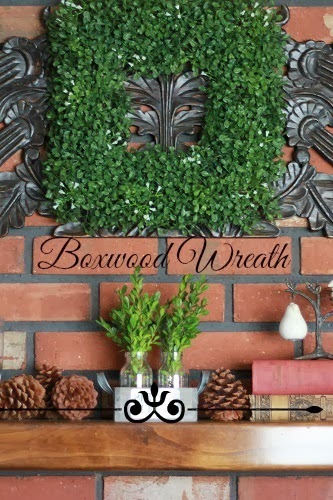 I have wanted a boxwood wreath for a long time. I love yours. I will check out Tuesday Morning. Great job on your mantlescape. Such a beautiful boxwood wreath Betty - I will try and make something similar - thank you for your inspiration!! That is SO cool! I love your mantel. Love it! Boxwood is a favorite of mine. What a great idea and it looks so pretty! A square wreath really adds style to your mantel display.